Welcome to Tomahawk Resort! Tomahawk is a full-service resort with something for everyone. We are located in a wilderness vacation paradise on beautiful Lake of the Woods at Sioux Narrows. Treat yourself to five-star quality accommodations in lakefront cottages or on a fully-equipped deluxe houseboat. You can fish for five species of fish on the same body of water; walleye, northern, small and largemouth bass, muskie, crappie and lake trout. Enjoy fishing, hiking, swimming or relaxing in the peaceful setting of North America's most beautiful scenery. The Kast Family has welcomed guests to Tomahawk Resort for more than 70 years. While many things have changed over the decades, our dedication to quality vacations hasn't. Our family and staff carry on a tradition of hospitality that spans three generations and we look forward to serving you on your next vacation. Cabin Rentals (Housekeeping): For your vacation at Tomahawk Resort, we have two, three & five bedroom cabin rentals to accommodate groups of all sizes in comfort. Houseboat Rentals: Tomahawk has fully equipped houseboat rentals to explore the beauty of Lake of the Woods. Our 50' houseboats are kept in like-new condition. Private Campground: We have 30 pull through or back in sites with electricity, water & sewer facilities. 50 amp service will accommodate even the largest of rigs. Walleye: There is nothing like a meal of fresh caught walleye. At Tomahawk on Lake of the Woods the walleye are abundant. 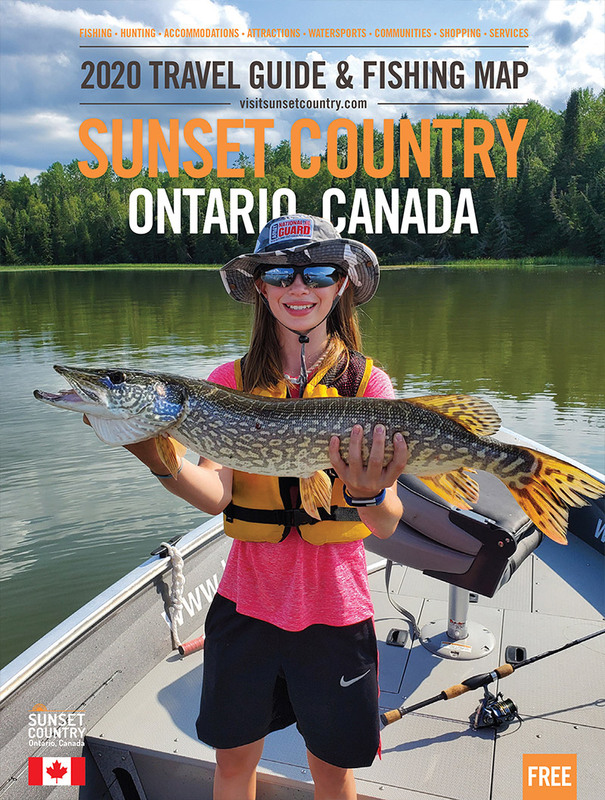 Northern Pike: On your fishing trip fish for northern pike they are fun to catch and are numerous on Lake of the Woods in the Sioux Narrows. Muskie: A Canadian fishing trip to Lake of the Woods is a must for any muskie anglers as it is renowned for its large muskie. Smallmouth Bass: Lake of the Woods has excellent smallmouth bass fishing adjacent to Tomahawk Resort so there is no need to travel far. Crappie: Crappie are found in several bays on Lake of the Woods. Fun to catch and great to eat they are an excellent panfish. Largemouth Bass: If you enjoy the sport of largemouth bass fishing come to Tomahawk and you will enjoy the fight this fish can give you.